Home » Television » Douglas Adams’ Dirk Gently coming to BBC TV. 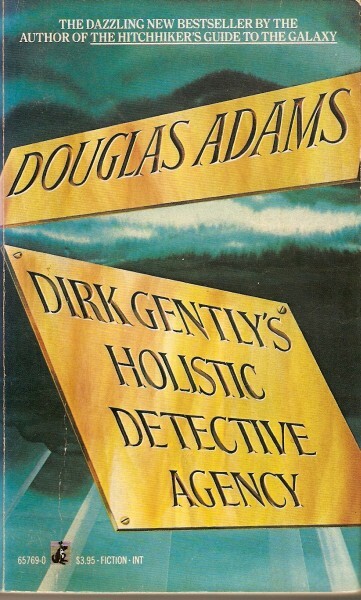 Douglas Adams’ Dirk Gently coming to BBC TV. I have a confession to make: THE HITCHHIKER’S GUIDE TO THE GALAXY is not my favorite Douglas Adams novel. I realize it is a classic and is loved by gazillions of folk, but I have always been partial to DIRK GENTLY’S HOLISTIC DETECTIVE AGENCY. So I am as giddy as a cat with kittens (or however that phrase goes) with the announcement of a British telefilm based upon said novel. BBC has ordered a 60 minute pilot to appear on BBC4. One would presume success will result in more episodes being ordered. Gently previously appeared on BBC radio as well as on stage. Howard Overman has penned the script. Overman previously wrote for MERLIN and MISFITS as well as HUSTLE and HOTEL BABYLON. I love Hitchhiker's Guide as well, but I'm with you. Dirk Gently sings my soul in an ugly red hat! I hope it's a huge, wonderful success and BBCA shows it here, or that there will be another way to snag a look from the interweebs.